Connected lighting is one of the biggest trends in consumer tech right now. Why? Because it’s awesome. 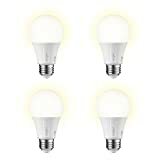 Having the ability to control the lighting in your home with your voice or your smart home hub is terrific, but it’s also very expensive. 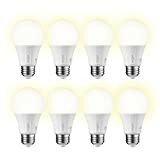 That’s what it’s so cool that the Sengled Element Classic A19 Soft White Smart LED Bulb only costs $9.99 on Amazon — or even less if you buy a 4-pack or 8-pack! 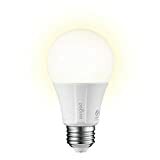 This nifty smart bulb works with Amazon Alexa, Google Assistant, SmartThings, Wink, and more, allowing you to quickly and easily integrate smart lighting features into any room in your home.